It’s powerful cleansing and antiseptic action is invaluable when treating acne, spots, boils and insect bites. In an emergency, one drop of neat Lemon Oil applied to a cut helps stop bleeding quickly due to its styptic (astringent and blood clot forming) action. Use one drop only though, since over-use can sensitise the skin. 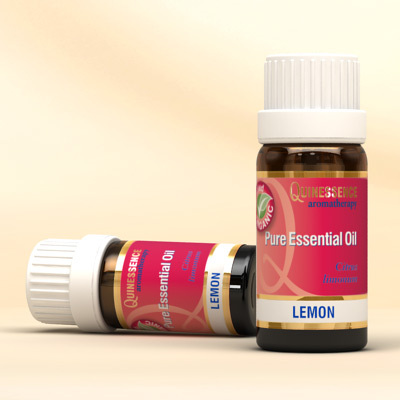 Lemon Essential Oil blends easily with almost any essential oil, and is particularly effective at rounding off the sweet edge of oils such as ylang ylang, geranium, rose and sandalwood. It also works well with Roman chamomile, cypress, fennel, juniper berry, lavender, neroli and other citrus oils.